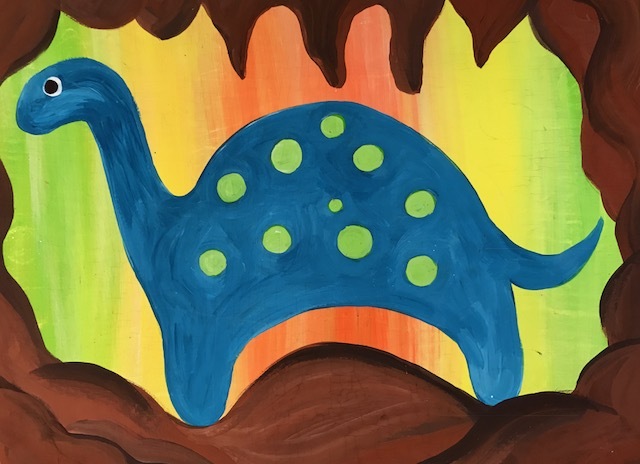 This Special Saturday paint a long is help in conjunction with McHenry’s first ever “Dino Dash” and is suitable for painters from age 6 to 96! Participants will be guided through the featured painting to create their own art piece on premium canvas panel. Parents may drop their child off, or sit and paint their own. Reserve your easel and join us!